Anne Nickoloff, the Director of Print for The Observer, is a senior at Case Western. She hopes to one day be a music journalist, and has spent much of her time in Cleveland covering the local concert scene. 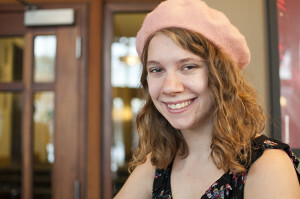 In addition to her work with The Observer, she is the editor-in-chief of The Athenian, Case Western's humor magazine. Her articles have been published in Cleveland Scene Magazine, Cosmopolitan Magazine, Belt Magazine, Cellar Door and Cleveland Street Chronicle.